Being praised as one of their finest album in years, Cut Copy just released a single called “Black Rainbows” from their forthcoming album. Haiku From Zero is going to be a mix of melodies, as can be expected with titles like, “Airborne,” “Standing in the Middle of the Field,” and now “Black Rainbows.” Ironically, the song has a beachy vibe. NPR is offering an exclusive peek at Cut Copy’s Haiku From Zero in the week leading up to it’s September 22 release. Stream NPR to get a taste of the band’s first proper studio album in the past four years. This is one of the albums with catchier songs that were ever recorded. Like their album in 2013, Free Your Mind, this new album will also be produced by Ben Allen. “Standing in the Middle of the Field” is a more fun-loving free spirit bop with some underlying tensions. 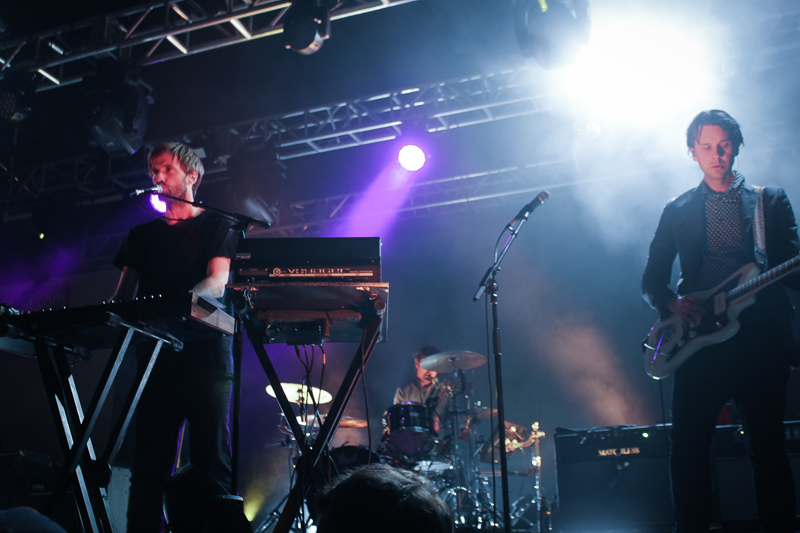 Cut Copy is using an easy-going melody to show their ability to turn dark subjects into bright music. Three songs have been released from Haiku From Zero. The full album will be released on September 22. Cut Copy is going across the United States for their 2017 Fall tour. It starts October 1st in San Diego, California for the CRSSD Festival.